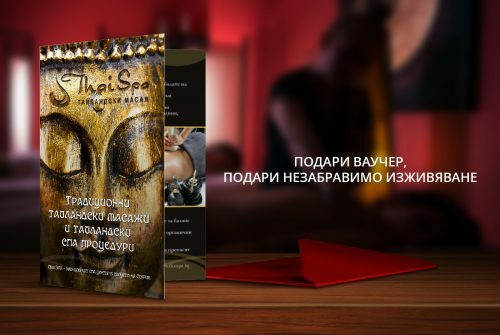 Enjoy a loved one as a gift voucher for a procedure at the best Thai massage center in Bulgaria. 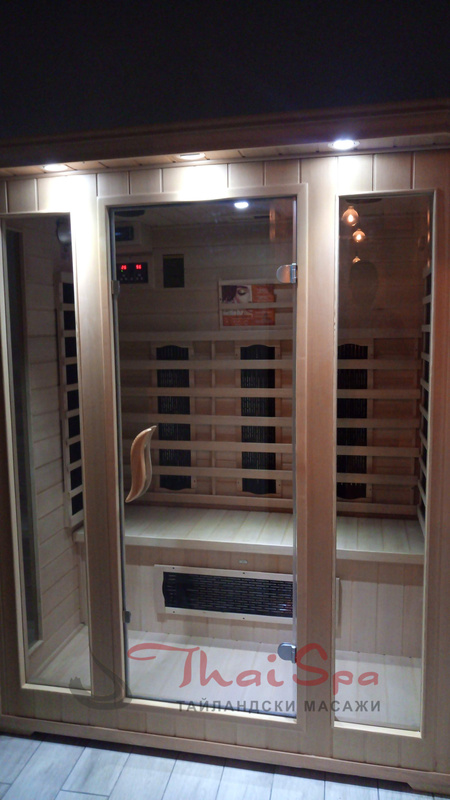 You can choose most procedures for a couple in a deluxe room. 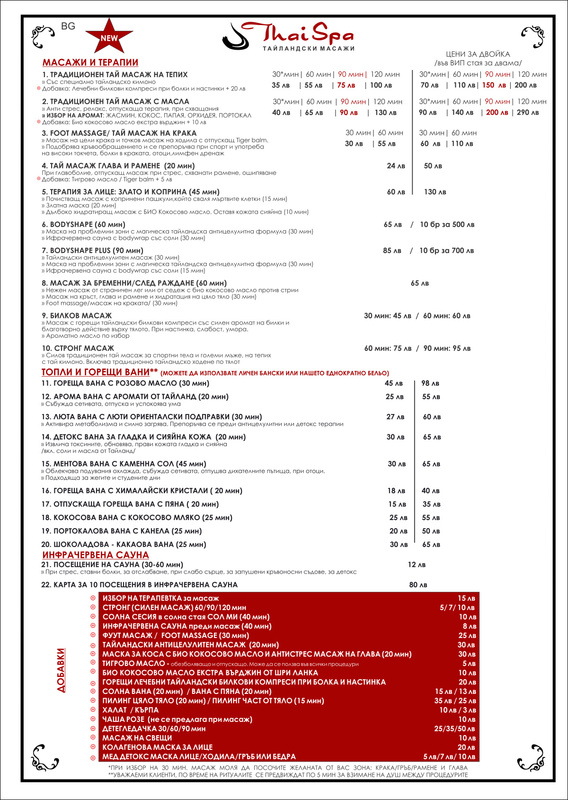 For a price list for prices for a couple, please see the menu and contact us. The vouchers come in a branded red envelope marked “Gift for you”. 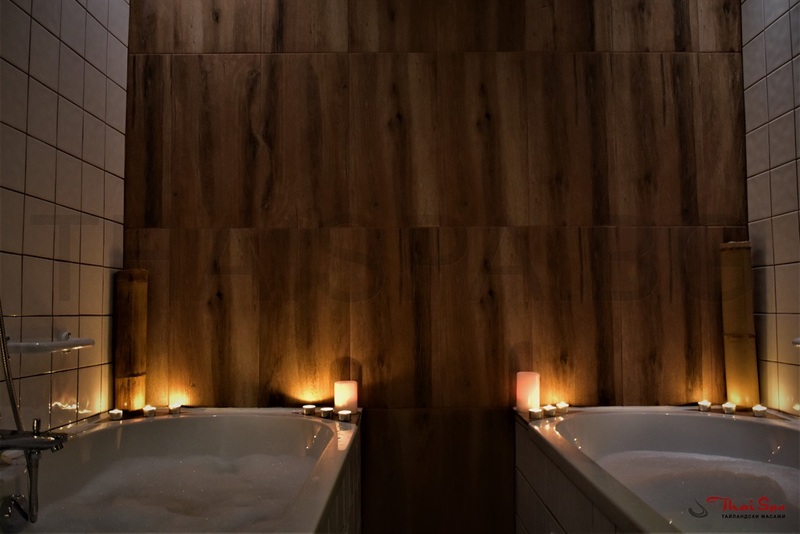 TAI SPA vouchers are printed on an extremely luxurious Italian card and are a very stylish gift. 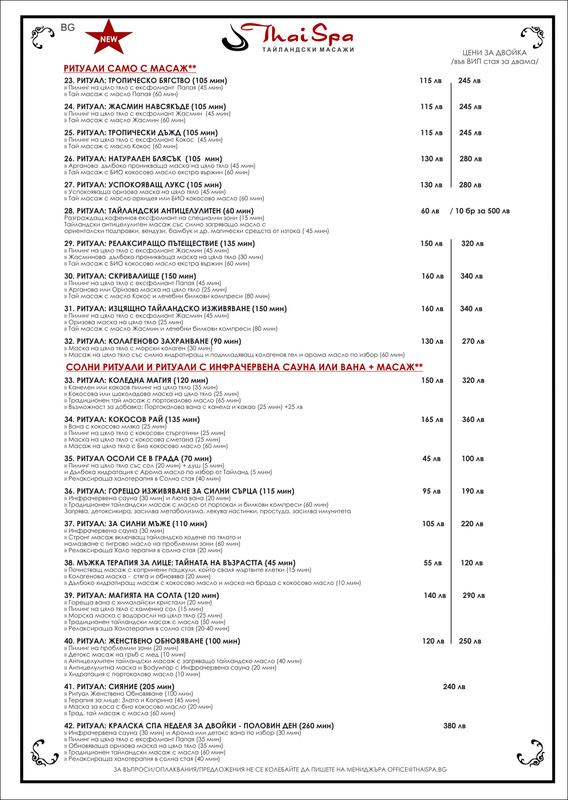 They can be sent by courier taken from our salon or sent by e-mail for printing. 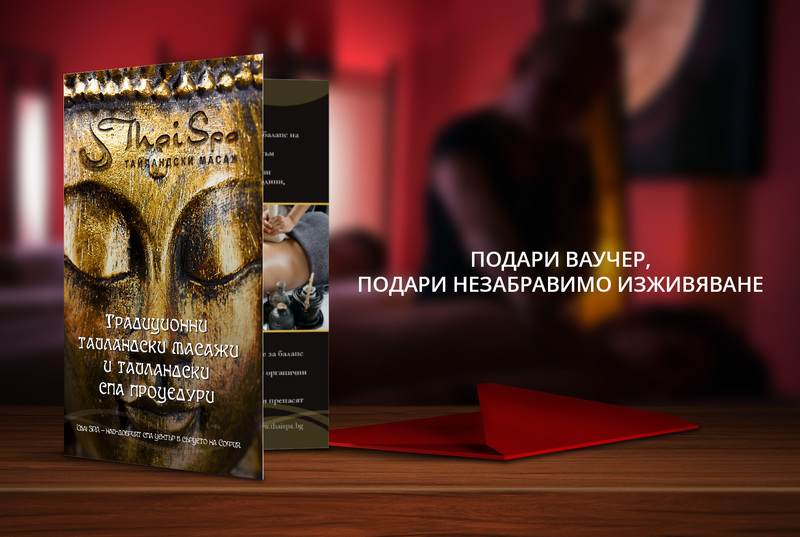 Choose the Thai massage you want.